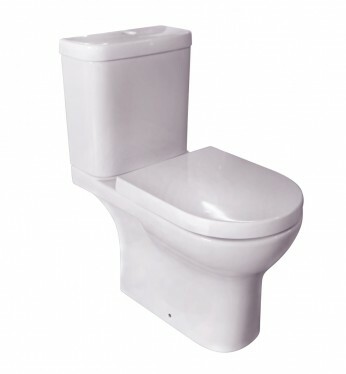 Austen Close Coupled WC Pan 36 x 67cm - Open Back. A longer and slightly wider version of the 77 model. *NOTE. This unit features an open back base which does not sit flush to the wall.